If you are thinking about, interested in, or even simply questioning becoming Catholic and would like to speak with someone, please call the Parish office, or email the pastor anytime. 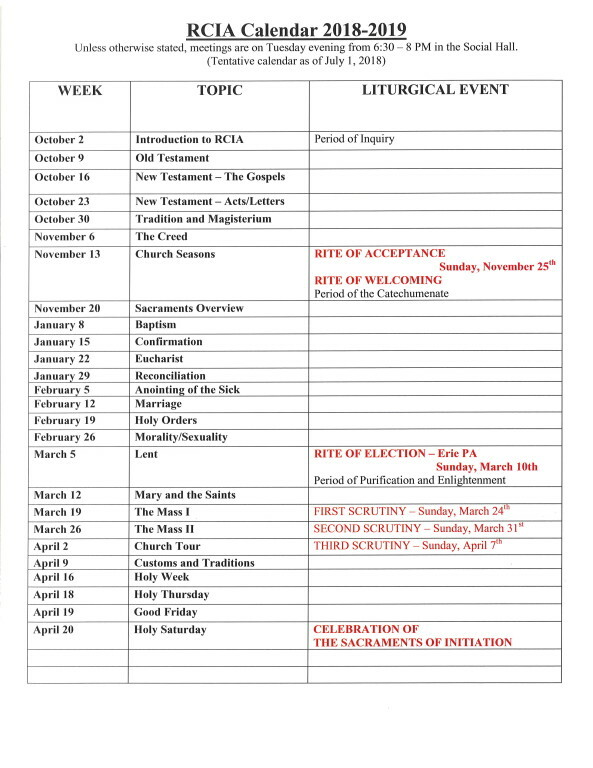 Our formal RCIA process begins in October and culminates at Easter every year. However, every situation is dealt with individually, and exceptions to this norm can often times be accommodated as well. Please know that you are in our prayers, and may God continue to Bless and enlighten you on your journey of Faith.